From their debut release Dear Universe in 2011, to the defining I Am Lion in 2016, Canary have finessed their songwriting and musicianship under the eyes of not only Australian industry and audiences, but international names alike. Shortlisted for the Unsigned Division of the 2014 International Songwriting Competition (deliberated upon by the likes of Tom Waits and Bastille) for their single ‘Carried Away’, Canary’s music rang out strong abroad and only bolstered the band’s drive for creating new music. Led by songwriter Matthew Kenneally, Canary are known for producing indie pop that is steeped in gorgeous melodies, intelligent instrumentation and an ever curious approach to their delivery; a delivery that has made the band a favourite with live audiences around the country, having supported the likes of Saskwatch, Hein Cooper, Ainslie Wills and LANKS in recent memory. Now, Canary emerge once more from the studio, armed with material primed for their forthcoming third album. Again, the gears have shifted as the band aims even higher with this new studio release. 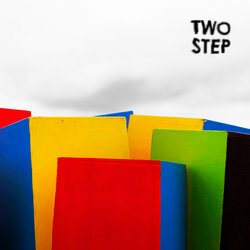 With driving drums and crunching guitars, ‘Two Step’ takes the formerly introverted and mystic sounds of Canary to an energetic realm. The track moves quickly with charming vocals and pop-inspired licks abed an exciting background. Boasting layered instrumental and harmonic sound we’ve come to know and love from Canary, but with the freshness of pop licks and bright melodies.